The international exhibition brand ShowFxAsia invites you to its new exposition related to the whole spectrum of financial markets: from the currency market Forex and futures market to stock markets. This exhibition will be held July 10-11, 2010 in Singapore. 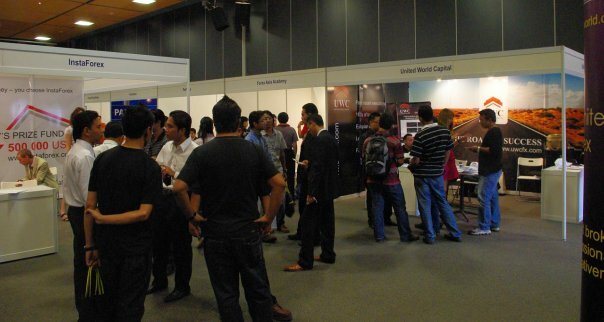 The event will take place at a respectable center Singapore EXPO. For the first time participants of all financial markets, the developers of special software and other companies tightly related to the financial world will be presented at one exhibition. The program provides such important for every participant of financial markets events as educational workshops and conferences, after visiting which the details of trading will be more understandable for you. Each exhibition visitor will be able to gain an indispensable experience of communication with leading market analysts and the brokerage companies’ representatives. ShowFx Asia Singapore EXPO 2010 organizes the bus tours that will take you directly to the exhibition in Singapore for FREE. Buses will travel according to the table above during two days of the exhibition - 10 and 11 July. Three brokers participating in Singapore exhibition have confirmed that all visitors of their show-benchs will get bonuses to their trading accounts for FREE! So every ShowFxWorld guest will be awarded with $150! There's best to come! Don't miss it! A few days left till Forex exhibition in Singapore! The event promises to be very interesting and exciting! 8 educational seminars, bonuses from the companies-participants and lots of other surprises are waiting for you! See you there! One day left till EXPO! The exhibition will take place TOMORROW! Once again I would like to invite everybody related to financial markets to visit ShowFxWorld expo in Singapore. Seize the moment! Educational seminars, representatives of respectable Forex brokers, bonuses and presents and much more surprises are waiting for you in Singapore! The international exhibition brand ShowFX Asia gladly announces that in Singapore on July 10-11 the exhibition devoted to the currency market Forex was successfully held. More than 500 guests took part in the exhibition. For the visitors of the show in Singapore the stands and presentation grounds by participants, representing the leaders of the financial field and Forex market in particular, were settled. Within the framework of ShowFx Asia exhibition 12 training seminars , dedicated to the fundamental analysis, Forex trading strategies, psychological aspects of trading on Forex market and other interesting topics, were organized for all comers. 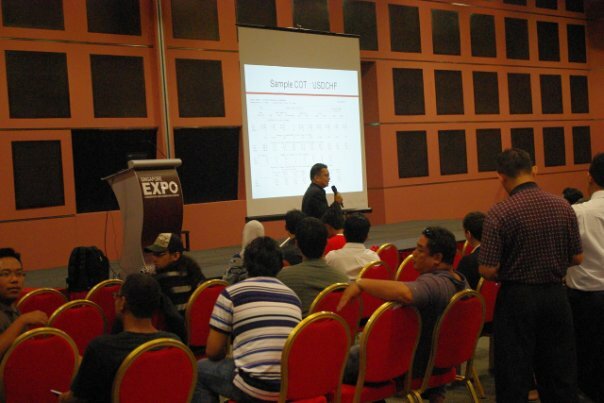 Apart from the seminars different draws and lotteries were conducted among the visitors of the exhibition. Everybody who visited the show in addition to positive emotions received memorable prizes. According to the management of ShowFX Asia Company the summer exhibition in Singapore can be rightfully considered the best exhibition among those which were organized by ShowFx Asia brand in the Asian region. However, the representatives of the Company do not doubt that with each following exhibition the level of the event and the attention focused on it will increase. ShowFx Asia exhibition in Singapore drew attention of all participants of financial markets in Asia, in particular Singapore, Malaysia and Indonesia. For the numerous traders, who visited the exhibition, the participation in the event became the perfect opportunity to meet under one roof with the representatives of the European and Singaporean companies, as well as with their local partners. The international exhibition brand ShowFx World and its member ShowFx Asia once more thank all guests and partakers of the exhibition and hope to see them on next exhibition, organized by ShowFx World brand, which will be held in Moscow on September 18-19, 2010. Moreover, the international exhibition brand ShowFx Asia expresses gratitude to its partners: InstaForex Company, CMCMarkets, LiteForex and UWC. Last edited by ShowFxWorld; 11-13-2010 at 08:14 AM. International brand ShowFx World invites everybody to the next exhibition devoted to the financial markets: beginning with currency exchange market Forex and ending with stock markets regardless their location. This exhibition will be interesting not only for participants of mentioned above markets but also great number of private individuals concerned in all aspects of financial markets activity. The exhibition will take place from 18th to 19th of September in the capital of Russia – Moscow. One of the most exclusive hotels of the city – Ritz Carlton Tverskaya will become a home for all the participants and guests of the exhibition ShowFx World for two days. Leading Forex-brokers, stock and futures companies and educational projects will be participants of this event under the auspices of international show brand ShowFxWorld. Exhibition ShowFx World is a unique opportunity for all members presenting different financial markets to be integrated in the Forex community up the high standard. The status of ShowFx World brand and its partners, among which is the leader of software products development for financial markets – MetaQuotes Software, is a guarantee of professionalism and conductive dialog. Just owing to the effectiveness of dialog within the ShowFx World exhibition, parties can share their experience, obtain new partnership relations and attract new customers. We also guarantee direct access to the products and services of the leading financial markets’ participants: from brokers to educational projects. All aspects and segments of financial markets, fundamental principles and topical questions, the whole range of proposals and current intramarket tendencies will be introduced at the exhibition ShowFxWorld in Moscow. ShowFx World Moscow Expo: We again united the best! On September 18-19 in Moscow, the third exhibition organized by ShowFx World brand took place. 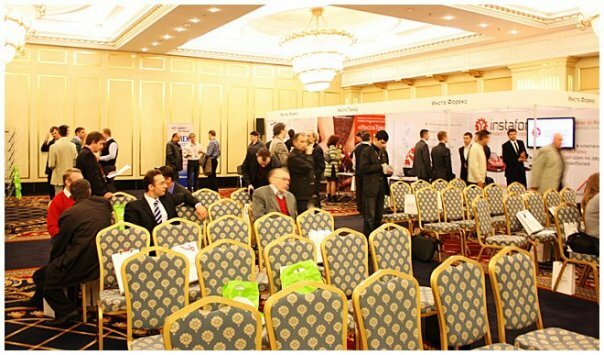 Hundreds of people have visited Ritz Carlton Conference Hall, on Tverskaya Street, that undoubtedly testifies about interest in both the event and the companies, which represent the leading participants of Forex market, banking industry and financial area. 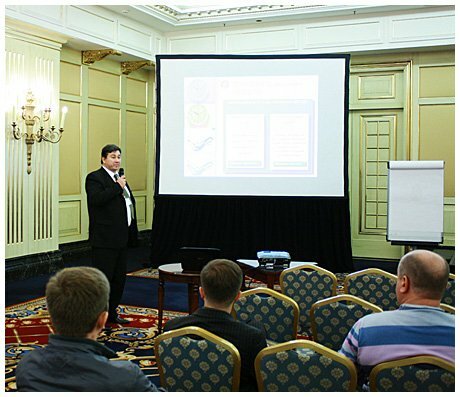 The partakers of ShowFx World show have organized eight educational seminars devoted to the investment problems and work on stock, banking and Forex markets. Moreover, MasterForex-V academy was awarded with the "Best educational project 2010" for the second time by the show’s organizers. The large broker InstaForex Company deserves a separate attention. The broker presented a new auto Hummer H3 to a winner of a campaign held by the company and rewarded three finalists of the beauty contest. 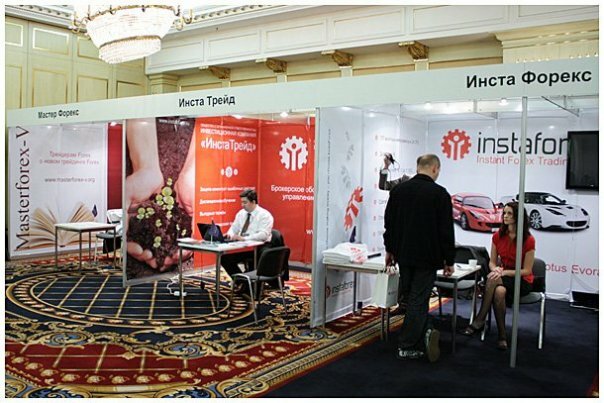 These particular events drew interest of InstaForex Company’s clients and exhibition visitors. The management of ShowFx World exhibition brand has highly assessed the results of the show due to the reputable level of participants and eventfulness of the arrangement with various educational seminars and developments. ShowFx World appreciates all visitors and partakers of the exhibition and hopes to see all of them at the next exposition that will be held in Dubai on November 20-21, 2010. 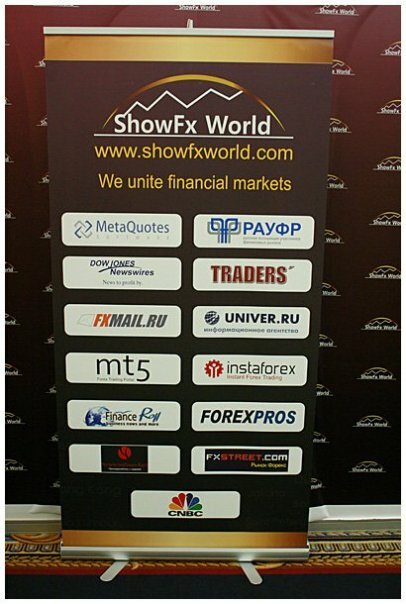 The international exhibition brand ShowFx World expresses the special gratitude to its partners: MetaQuotes, CNBC Business, IntsaForex, Masterforex-V, RAFMM, FXStreet.com, F&O, 2trade.ru, FXMail.ru, Status Investment Broker, ForexPros, MT5, IBTimes, DailyForex, TRADERS', ActionForex, Oil N' Gold, Univer.ru, ForexCamp, FinanceRoll, The Russia Corporate World, DOWJONES, PWFOREX, PlanetForex, Wealth Mentors, MFD.ru, LiteForex, ForexArena. Last edited by ShowFxWorld; 11-13-2010 at 08:15 AM. ShowFxAsia in Jakarta: Take your chance! International exhibition brand ShowFxAsia invites everyone to visit one of the most exciting events of the financial market world – ShowFxAsia 2010. It is due on November 27-28 in Jakarta, the capital of Indonesia. This place was chosen among many others as Indonesia today embodies financial strength and stability of Asian countries, and symbolizes their investment attractiveness and sustainable development. Exhibition in Jakarta is going to be the last in the series of events arranged by ShowFxAsia in 2010 and its organizers did their best to make it unforgettable. Prize drawings carried out by organizers and partakers of the exhibition and many other surprises from ShowFxAsia. November 27-28, Jakarta, Balai Sidang. 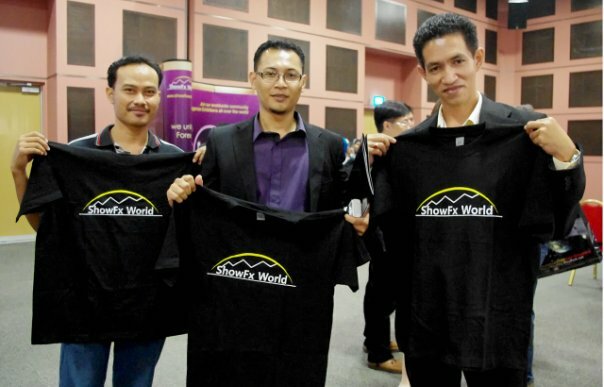 Take your chance to become a part of financial world with ShowFxAsia! P.S. The entrance is gratis!